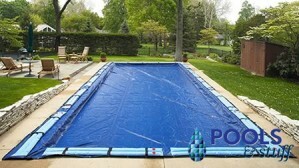 Ultra Winterizing Kits include everything you need to get your pool ready for winter. 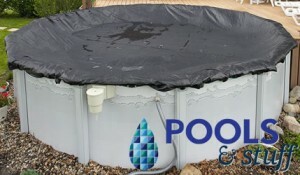 In-Ground kits include the Arctic Armor Winter Cover of your choice, Aqua Bloks, Chlorine or Chlorine-Free Chemical Kit, a Leaf Net, and a Cover Pump. Above-Ground kits include the Arctic Armor Winter Cover of your choice, an Air Pillow, Cover Seal, Chlorine or Chlorine-Free Chemical Kit, a Skimmer Plug, a Leaf Net, and a Cover Pump. Choose from Arctic Armor Winter Covers with warranties of 8, 12, 15, or 20 Years. 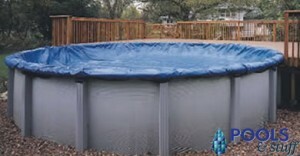 Includes Arctic Armor Bronze Cover (8 Year Warranty), a 4'x4' Air Pillow, Winter Cover Seal, Skimmer Plug, Leaf Net, a Winterizing Chemical Kit, and Cover Pump . Includes Arctic Armor Bronze Cover (8 Year Warranty), Leakproof Aqua Bloks, Winterizing Chemical Kit, Leaf Net, and Cover Pump. 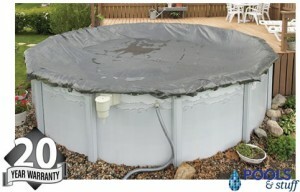 Includes Arctic Armor Silver Cover (12 Year Warranty), a 4'x4' Air Pillow, Winter Cover Seal, Skimmer Plug, Leaf Net, a Winterizing Chemical Kit, and Cover Pump . Includes Arctic Armor Silver Cover (12 Year Warranty), Leakproof Aqua Bloks, Winterizing Chemical Kit, Leaf Net, and Cover Pump. Includes Arctic Armor Gold Cover (15 Year Warranty), a 4'x4' Air Pillow, Winter Cover Seal, Skimmer Plug, Leaf Net, a Winterizing Chemical Kit, and Cover Pump . Includes Arctic Armor Gold Cover (15 Year Warranty), Leakproof Aqua Bloks, Winterizing Chemical Kit, Leaf Net, and Cover Pump. 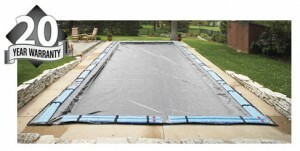 Includes Arctic Armor Gorilla Cover (20 Year Warranty), a 4'x4' Air Pillow, Winter Cover Seal, Skimmer Plug, Leaf Net, a Winterizing Chemical Kit, and Cover Pump . Includes Arctic Armor Gorilla Cover (20 Year Warranty), Leakproof Aqua Bloks, Winterizing Chemical Kit, Leaf Net, and Cover Pump. 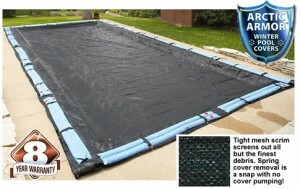 Includes Arctic Armor Rugged Mesh Winter Cover (8 Year Warranty), a 4'x4' Air Pillow, Winter Cover Seal, Skimmer Plug, Leaf Net, and a Winterizing Chemical Kit. Includes Arctic Armor Rugged Mesh Winter Cover (8 Year Warranty), Leakproof Aqua Bloks, Winterizing Chemical Kit, and Leaf Net.